For even more salsa events, check out our Salsa Calendar. Looking for places to go Salsa Dancing? 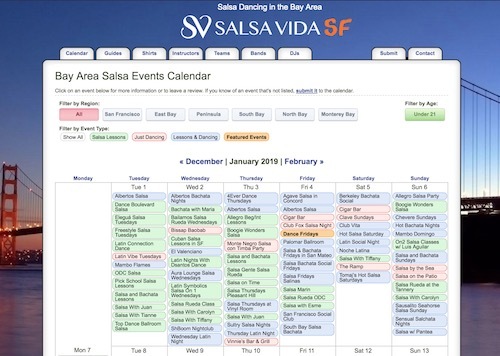 For a full list of salsa lessons and salsa dancing events in the Bay Area, check out our Salsa Events Calendar. 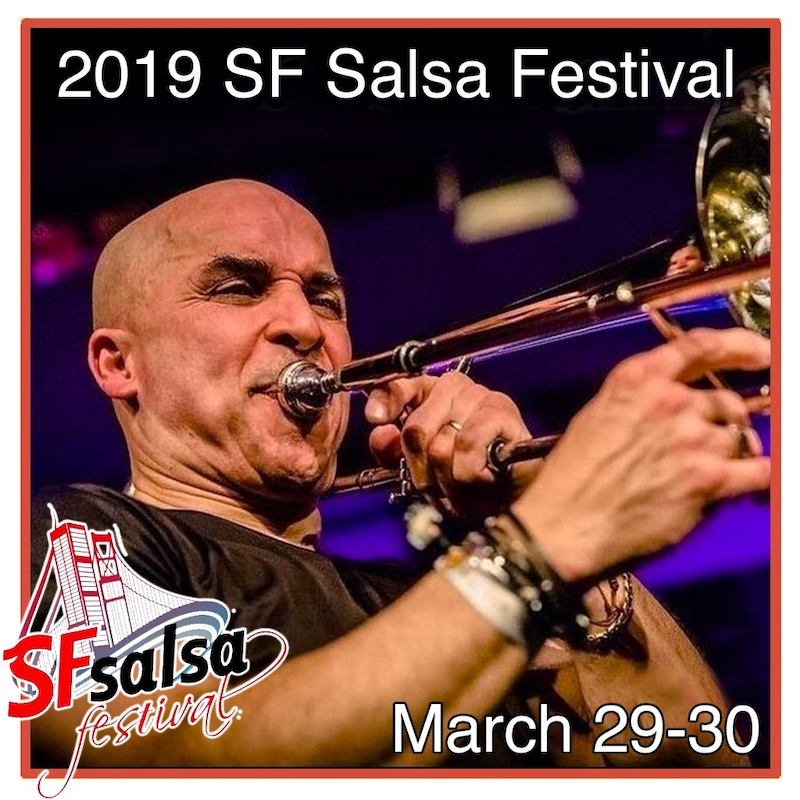 2019 SF Salsa Festival Happening This Month! The 11th Annual San Francisco Salsa Festival is coming up this month, March 29th-March 30th at the Park Central Hotel in San Francisco! Bella Dance Weekender This Weekend! Celebrate International Women’s Day at the first ever Bella Dance Weekender, a Latin dance festival aimed at celebrating and empowering women! Looking for Salsa By The Bay? You’re in the right place! As of today (December 2018), Salsa By The Bay is now officially “Salsa Vida SF”. Why the name change? 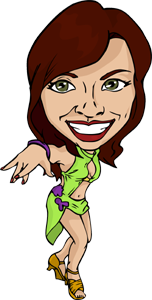 We are joining forces with Salsa Vida, the premier destination for salsa dancing on the web. San Francisco Salsa Bachata Kizomba (SFSBK) Congress Coming Up Next Month! Mark your calendars, because the San Francisco Salsa Bachata Kizomba (SFSBK) Congress is coming up in exactly 30 days! SFSBK is a 3-day long dance festival featuring 16-hours of dance instruction, world-class dance performances, and dancing every night until 6am! 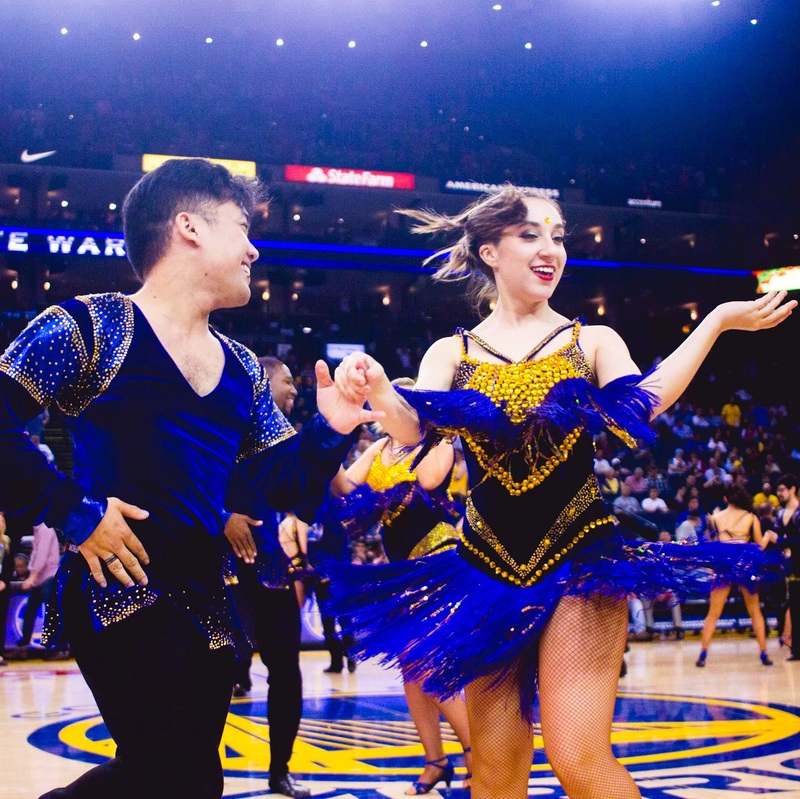 Warriors fans were treated to a salsa and bachata dance performance last month when the San Jose State University’s salsa team, Spartan Mambo, performed during their halftime show.